3D printing has the potential to become a staple in green living. It can reduce packaging waste, allows for the reuse of printing materials, and enables designers and architects the ability to test prototypes before building, which can help decrease the amount of waste created by redesigns. So how can 3D printing do all of this? Consumers can print goods in their own homes, eliminating the waste generated by packaging and shipping. It also reduces the amount of fuel used to transport and deliver goods due to the fact that blueprints for desired items are available online, or are created by the consumer. With the Titan 1, these items can be created more quickly and efficiently than ever before. 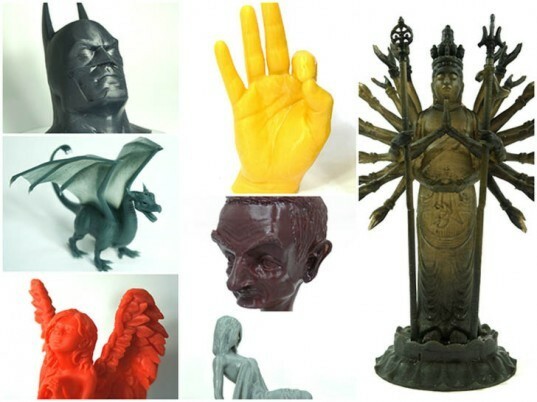 Many of the 3D printers on the market today allow users to recycle printing materials from a previously printed object to create an entirely new item. This decreases the waste produced by utilizing entirely new material for every print, as well as the packaging waste associated with ordering more supplies. It can be recycled a number of times before the integrity of the material is compromised by overuse, and that remains one of 3D printing’s most sustainable attributes. 3D printing is also an excellent tool for architects, engineers, and designers who want to maintain a green lifestyle, as it enables them to print prototypes of their ideas. They can detect any flaws in their designs early on, which can save them from having to waste both time and unsustainable materials during the final building process. Kudo3D is dedicated to revolutionizing industry by making it more efficient and sustainable with its development of the Titan 1. 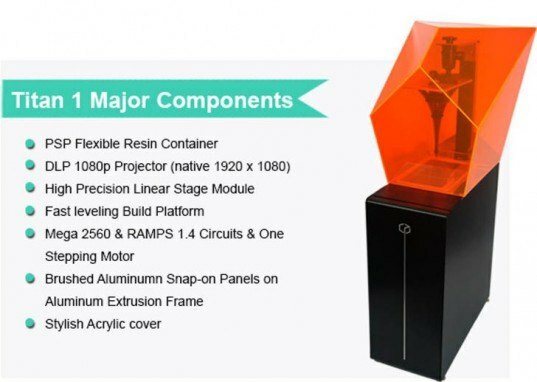 Not only does the Titan 1 provide users with many green benefits, but it is also solved the three biggest problems most other desktop 3D printers face: long printing times, low resolution, and small printing size. 1. 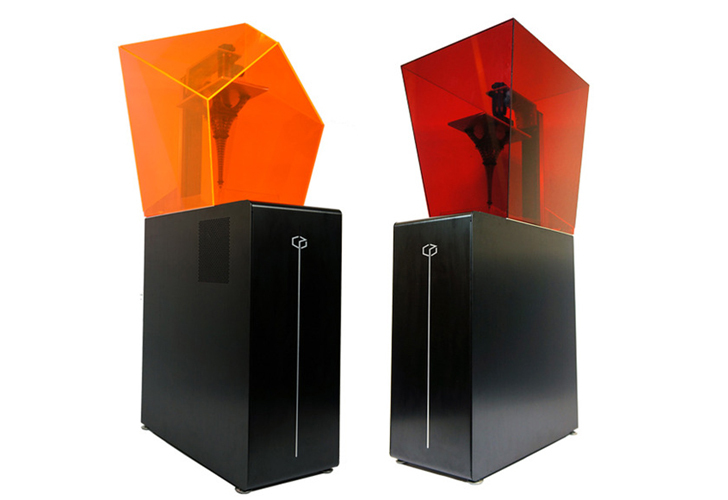 Build Size: The Titan 1 can print up to 9.5” tall with a 7.54” x 4.25” build base at 100 micron XYZ resolution, which is the tallest among all personal SLA printers. 2. Speed: This is the fastest personal SLA printer in the market today. For other SLA printers to print a 4.6 inch Eiffel tower with 100 micron Z resolution, it takes anywhere from 4 to 6 hours to complete – the Titan 1 needs just 2 hours! Compared to FDM 3D printers, the Titan 1 is 5 times faster, and provides better detail and smoothness. 3. Resolution: It can print at resolutions that are 5 times higher than FDM printers, while maintaining its speed advantage, with the ability to print pillar features as fine as a strand of hair. On May 27, 2014, the Titan 1 launched on Kickstarter. 2 minutes after launching, it had met its $50,000 goal, and 12 minutes later, it had received more than $100,000 in pledges, and those numbers just kept rising. The Kickstarter campaign is now closed, and you can order your very own Titan on the company’s website.